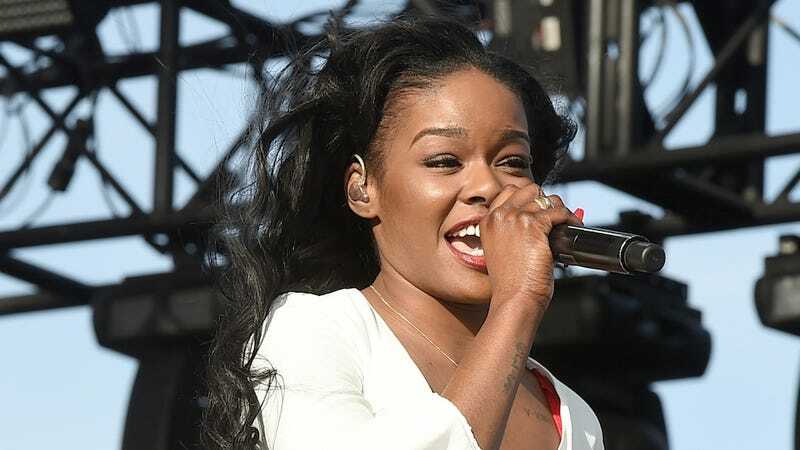 Your favorite Twitter personality Azealia Banks just landed the lead role in her first feature film. Coco is an 8 Mile style movie that’s directed by RZA and set in Brooklyn. The cast also includes Jill Scott, Common and Lorraine Toussaint (who plays Vee on Orange Is the New Black). In the Brooklyn-set drama, Banks plays an aspiring twentysomething rapper who wants a career in hip-hop but is torn by her parents’ dreams that she finish college. She gives in. While matriculating, she finds herself in the classroom; she experiences the true calling of the power of the spoken word, which helps her goals as a hip-hop artist. It has a bit of 8 Mile edge to it. “A bit of an 8 Mile edge to it,” as in, it’s about rap. And if this is shot in Brooklyn, we may soon be seeing Banks and company roaming the borough. Common can stay with me if he needs a place.